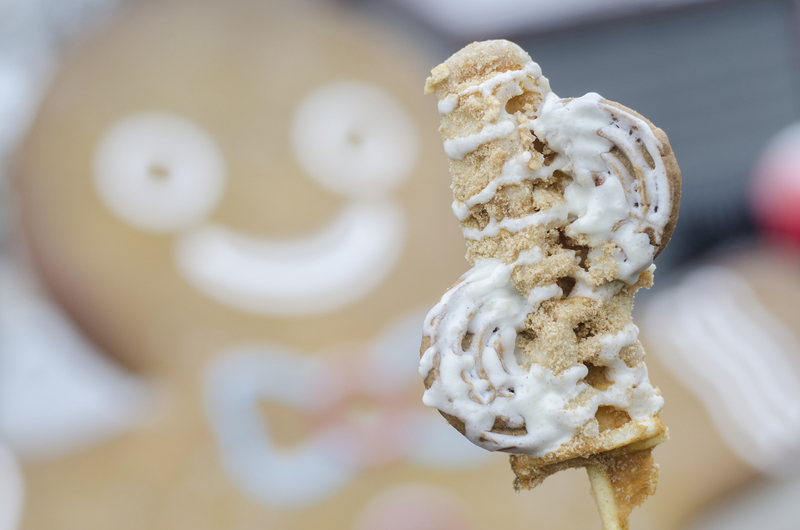 Our gourmet waffles on a stick were a huge hit for the opening weekend of Bright Lights Windsor 2018. Now, we’ve take one waffle out of rotation and are introducing a new one. 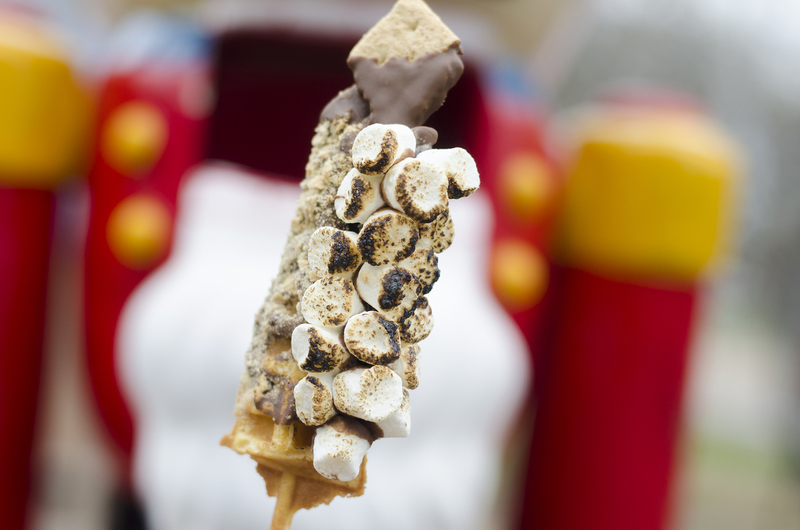 Here are the 3 gourmet waffles on a stick that we’ll be serving up at Bright Lights for Friday, December 14 and Saturday, December 15. By far the best seller the opening weekend. It’s a fresh classic waffle with chocolate coating and covered with graham cracker crumble. 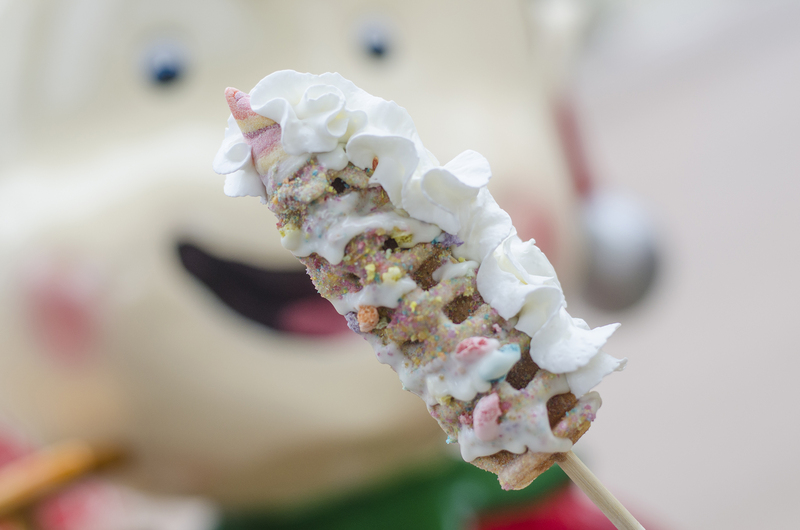 Draped over the waffle are a cluster of marshmallows which we toast for you on the spot. The sweet aroma alone of the toasted marhsmallows will have you running to our Traveller to get one. The new kid/waffle on the block for this weekend. It’s a cinnamon spice waffle dipped in white chocolate coated with smashed Cinnamon Toast Crunch cereal. It’s then topped with cinnamon bun cookies and a decadent cream cheese frosting.